See FINANCING tab for details. Create amazing prints with Canon's PRO-6000S large format inkjet printer. 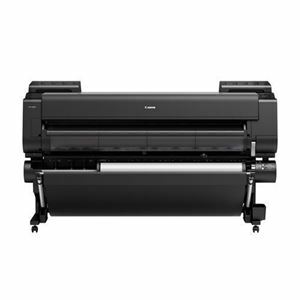 The use of a new 1.28-inch wide 12-channel integrated compact print head, LUCIA PRO ink set (a high-precision mechanical platform) and the L-COA PRO high-speed image processing engine achieves a balance between high-speed printing and exceptional print quality. Email completed Canon lease applications to store@pakor.com. New equipment only. Demo, used, and discontinued equipment do not qualify. All standard CFS MSRP blending rules apply. Leasing is provided by Canon Financial Services, Inc., ("CFS"), a wholly owned subsidiary of Canon U.S.A., Inc.
All lease transactions are subject to credit approval and acceptance of all required lease documentation by CFS. Contact Pakor (800) 572-3600 for more information.